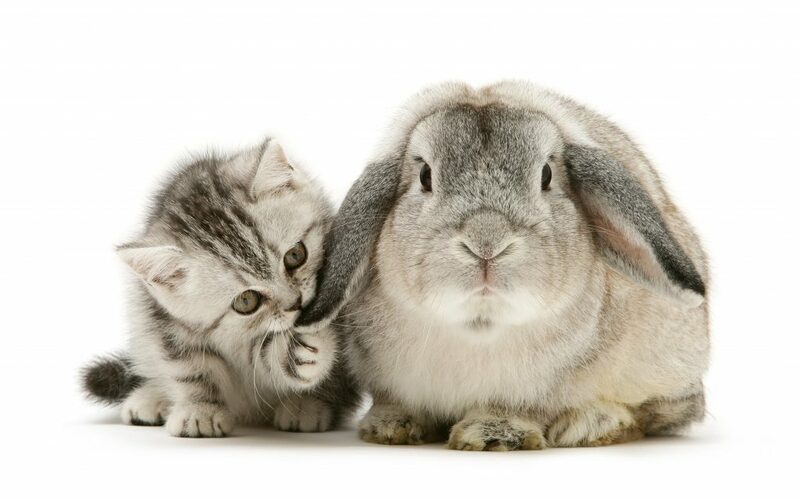 These SNAP CATS have found their bunny doppelgangers in a series of super sweet photoshoots. Animal photographer Mark Taylor, from Surrey, and his assistants have scoured the UK to bring together carbon-copy rabbits and cats. 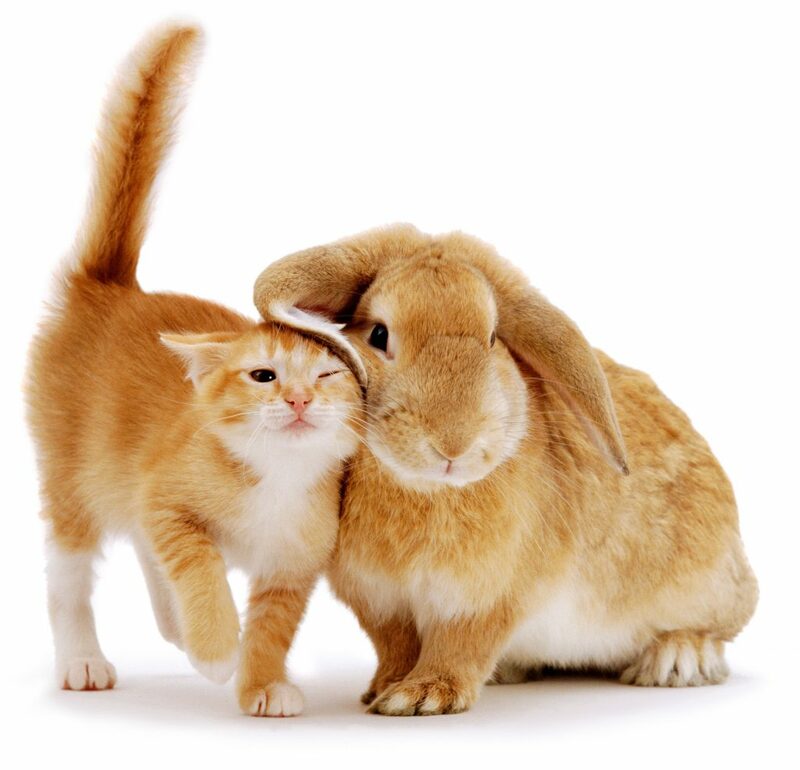 PIC BY Warren photographic / CATERS NEWS – Ginger female kitten Sabrina scent-rubbing against a young sandy lop rabbit. 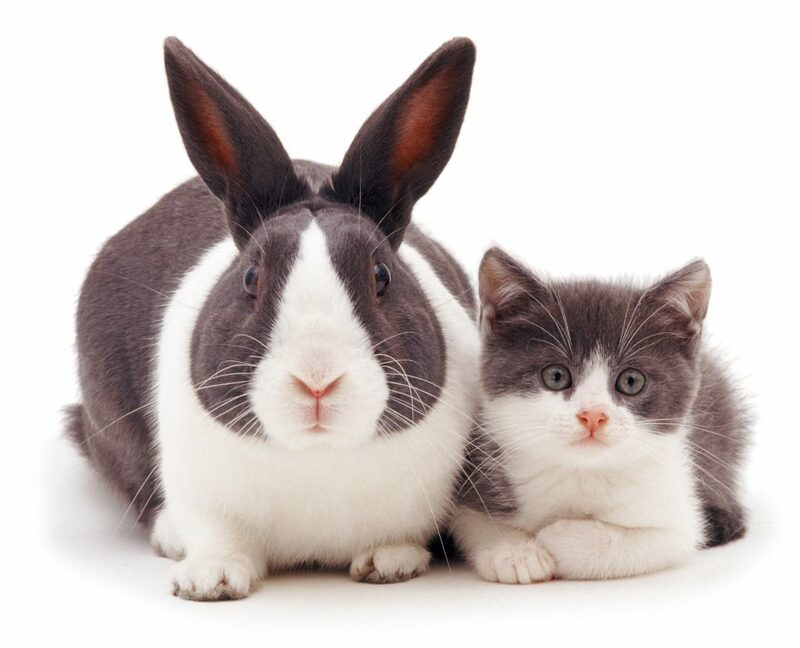 PIC BY Warren photographic / CATERS NEWS – Blue Dutch rabbit rabbit and matching kitten.Sharing details such as fur and eye colour, seating positions, startled expressions, and even matching markings on their noses, the cute animals look as if they came from the same litter. 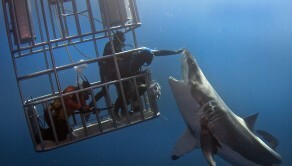 Some of them also appear to be the best of friends, with the pairs cuddling up to and even lying on top of each other. Mark, 52, said: “The idea was actually my mother’s. It started when she noticed a friend’s rabbit and kitten, Tiffany and Turbo, were an exact match. 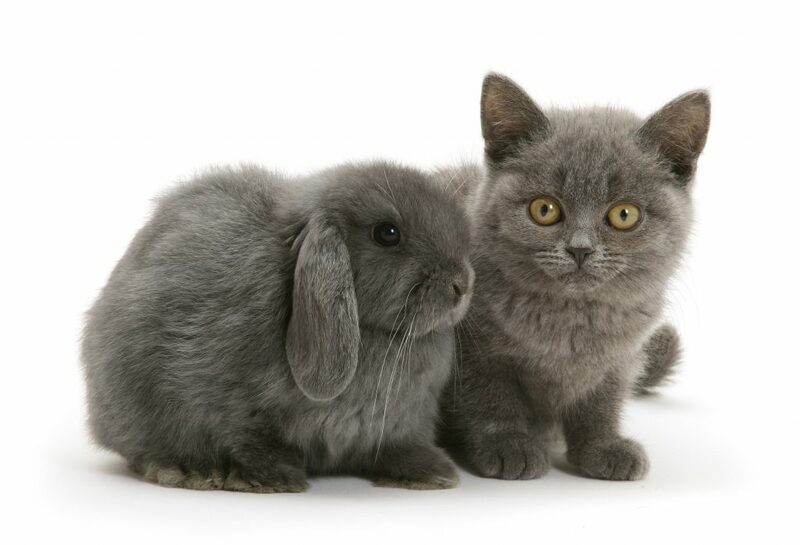 PIC BY Warren photographic / CATERS NEWS – Grey kitten and grey rabbit. “I have since done literally hundreds of pairings. “The best thing, no matter what the species, is to have animals that are brought up together, or at least are introduced to each other at an early age. That way they look and act the most alike. “The least compatible with anything are terrier dogs, followed by adult cats. PIC BY Warren photographic / CATERS NEWS – Russian Blue kitten chasing blue Lop rabbit. 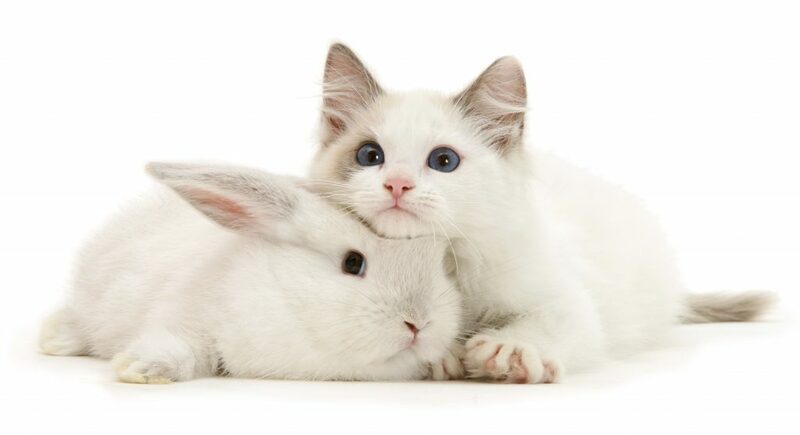 PIC BY Warren photographic / CATERS NEWS – Colour-point lop rabbit baby with Lilac Ragdoll kitten. 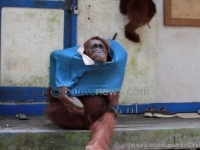 straight forward, especially when the animals are more independently minded. 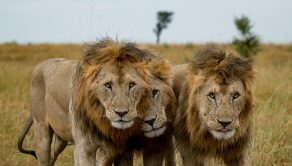 Mark said: “It’s nearly always a challenge because of the difficulty in getting the animals to look relaxed and, at the same time, to be either focused on each other or the camera. They usually have different ideas. 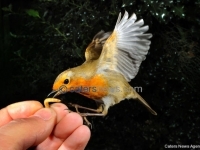 “I have an assistant, called Britta, who places the animals on the set and keeps them entertained by playfully dangling feathers and other toys to keep them occupied rather than wandering off. “She is essential to this type of photography and I could not work without her. 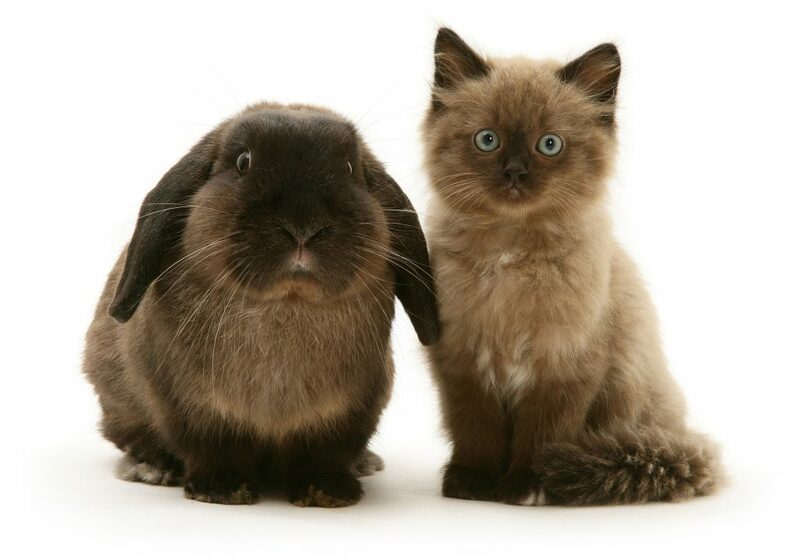 PIC BY Warren photographic / CATERS NEWS – Chocolate Birman-cross kitten with chocolate Lop rabbit. 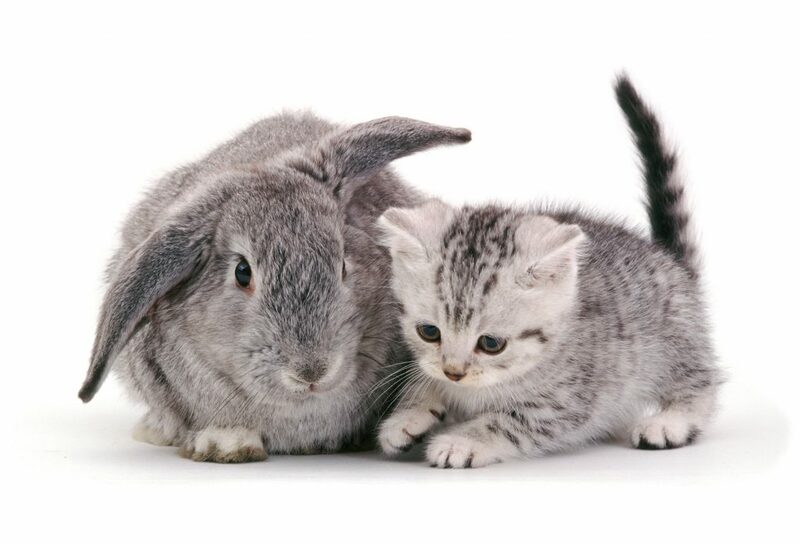 PIC BY Warren photographic / CATERS NEWS – Silver tabby kitten with silver agouti Lop rabbit. 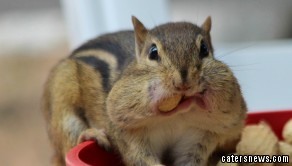 “There have been many times that male rabbits have tried to hump the other animal, be it a cat, dog, guinea pig or another rabbit. “The animals don’t always get along. 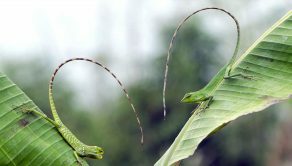 If they have not met before, it is important to first introduce them with a barrier between so one can judge if there is likely to be any arguing. 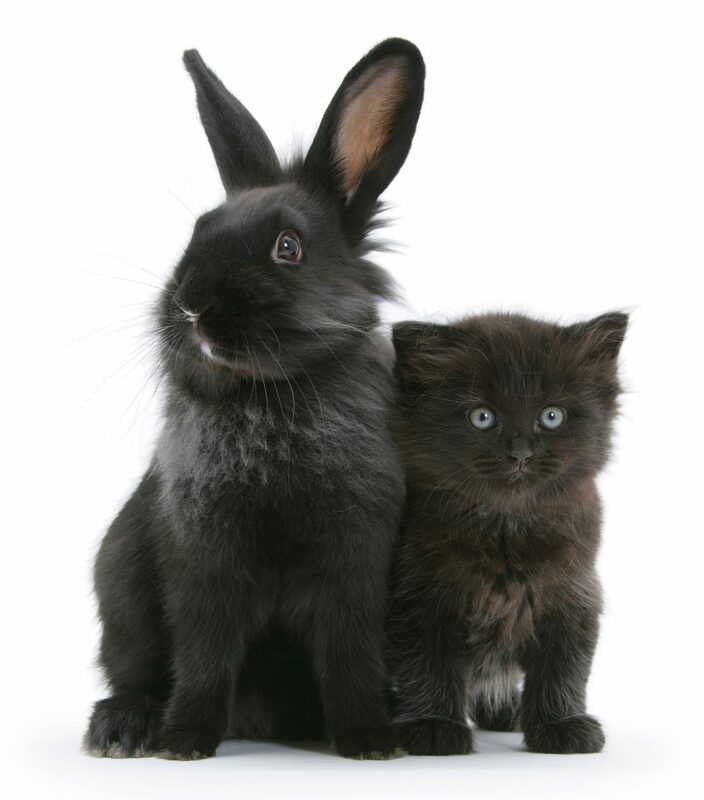 PIC BY Warren photographic / CATERS NEWS – Black kitten with black Lionhead-cross rabbit.